Hello! This week some fabric was acquired, fourteen and a quarter yards. Because I don’t have enough Christmas fabric. Mm hmm. But, I also had two wonderful finishes! 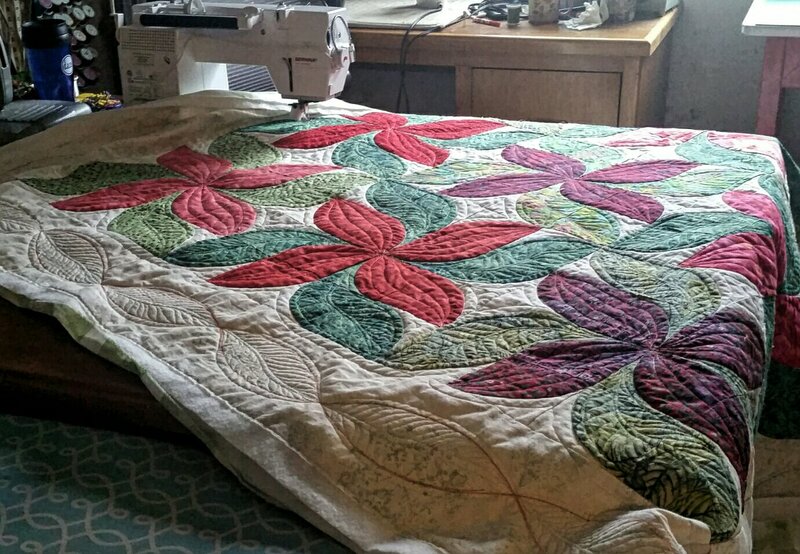 Pacific Stars is finished, and so is the poinsettia quilt, which I will post about when the weather clears up. They used seven and a half, and eight and a half yards, respectively. 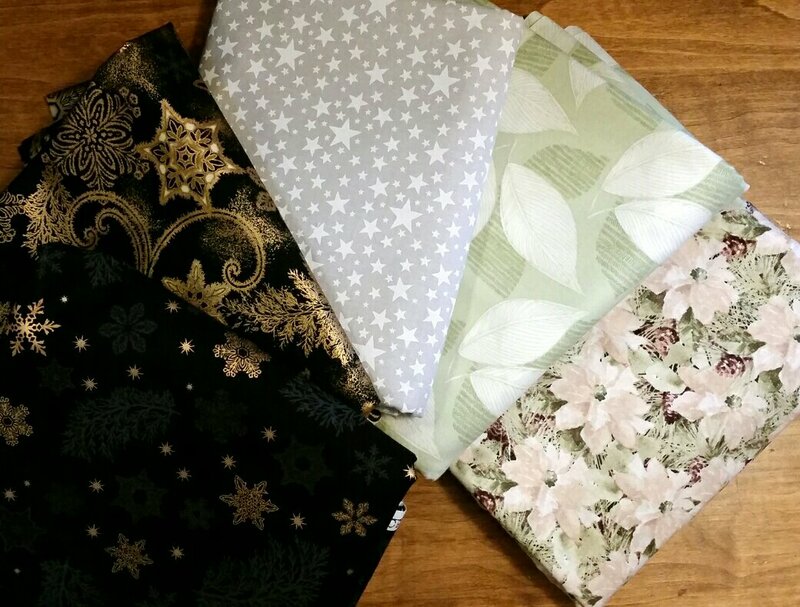 Speaking of destashing, cutting directions are up for Charlotte Hawke’s mystery scrap quilt, Summer Stars on Fawn Lake. Sewing directions won’t begin until mid-January. I’m thinking about doing the smaller one. This afternoon I’ve been making spiced nuts for Thanksgiving. The Cajun Pecans are finished, and the Sherried Orange Walnuts are cooling, and the house smells all warm and orangey. Hope you’re having a peaceful time preparing for holidays (or not! ), and hope you’re using that stash! The pointsettia quilt is beautiful! I love the border quilting. Good job on the destash!